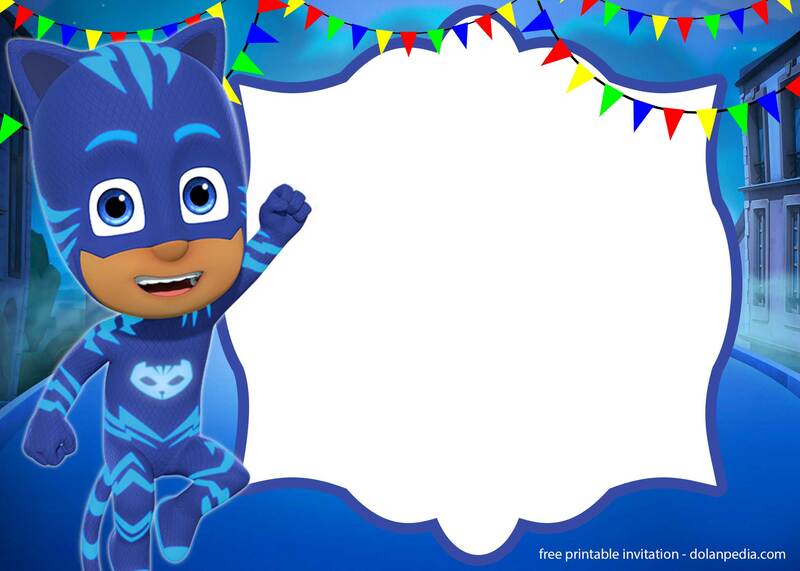 Celebrate your next birthday party with our free printable PJ Masks birthday invitation template. 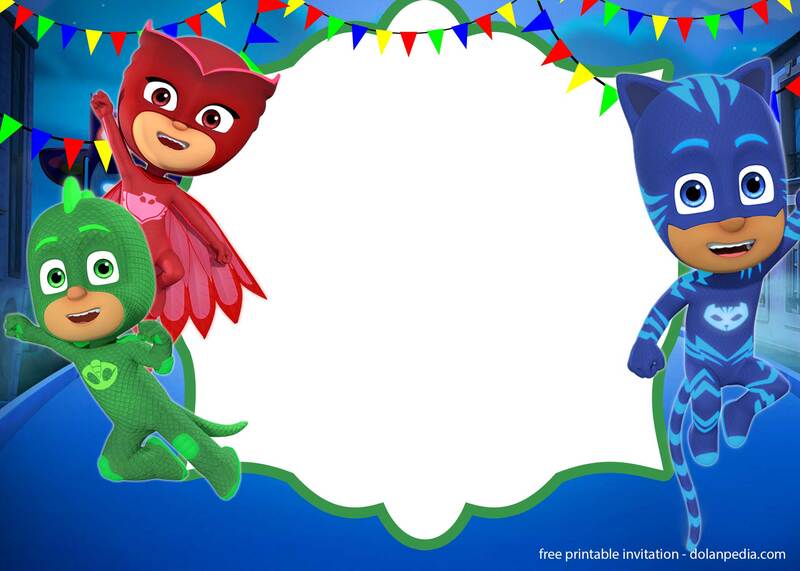 We have 5 cool designs that you can use for your next PJ Masks birthday party. It offers 3 well-known characters, Catboy, Gekko and Owlette. You can download and write down your own wordings! What are you waiting for? Simply click and download the invitation below. Please remember, that this invitation is free for your personal use only! These invitation comes in 5×7 with moonlight background! You can choose what’s best for your need. 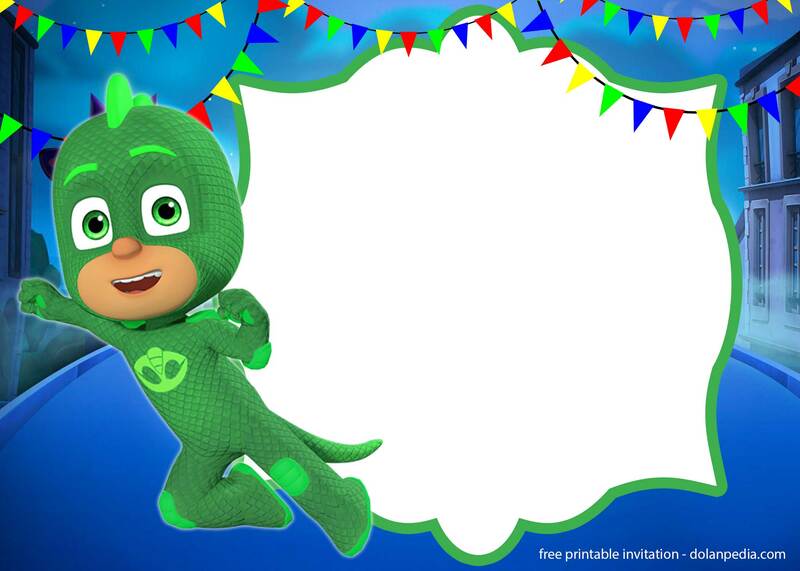 Comes in blank form, you can easily write down and print your birthday party wordings on it. You can use a pen or a marker. If you are able to operate Photoshop, then you’re ready to go! Downloading this invitation is very easy. Simply click on the image to get the fullsize image portion, the Save the image as! Save it on your desktop, then print. Or edit it using image processing software. 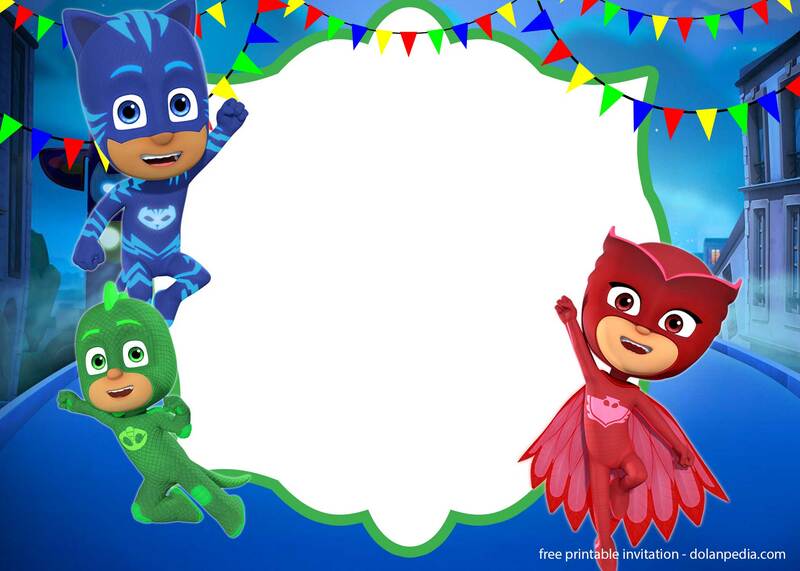 What paper is the best for the PJ Masks invites?